It's useful to know what are the typical property manager duties and responsibilities, especially if you're hiring or becoming one yourself. Let's take a closer at their property management duties here. Tenants are the lifeline of any rental property so it's important that a property manager knows how to advertise his rental properties effectively and choose excellent tenants . A property manager has to market vacant rental properties - He needs to know what are the most far-reaching and cost-effective methods of finding potential tenants so that he can recommend it to his clients or execute it himself. Once prospective tenants come knocking at the door, it is the property manager's responsibility to screen the applicants. The aim here is find tenants who are both cooperative and punctual in rent payments. Property management responsibilities at this stage include preparing rental application forms and conducting interviews with applicants. The purpose of the interview is to uncover their income source, family status, attitude and reason for renting. Tenant interviews can done by phone to save time or conducted face to face for a more thorough screening. Naturally, part of the tenant screening involves showing prospective tenants around the rental property. Next up it's time for the property manager to run credit checks on tenants to make sure that they are willing and able to afford their rent payments. To accomplish this, the manager will need to know where to get tenant credit reports and how to interpret the results. Managing existing tenants and understanding their needs also falls under the job description. It goes with saying that collecting rent from tenants on time is one of the most crucial duties of a property manager. A good property manager needs to have a solid rent collection plan in action - deciding on the best payment method, dealing with late rent payments and chasing after unpaid rents. Property management responsibilities also includes attending to the (reasonable) needs of tenants. Such needs include requests for property maintenance and repairs, disputes with neighbors and co-tenants and rent delays. Not all disputes can be resolved amiably and sometimes bad tenants slip through the screening process. 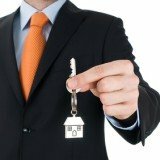 When that happens, a property manager is responsible for resolving landlord tenant disputes by legal means and evicting bad tenants. Dealing with these ugly situations requires property managers to have a good grasp of the local landlord tenant law and rights. Managing tenants well is a delicate balancing act that requires good communication and good people skills - On one hand, property managers has to make sure that tenants are cooperative and respect their authority. On the other hand, tenants need to be contented with the way they're being treated.